"An Enchanting World of Make-Believe!" All the aspects of Santa Claus that have enchanted kids for centuries are here: his floating palace high above the North Pole, his working relationship with Merlin the Wizard, his magical surveillance equipment, the many kids he holds captive in his singing work-dungeon, and his unending battle against the forces of hell. Merry Christmas! The second of the two MST3K Christmas episodes, and if anything even better than the first one. Santa Claus, made to give Mexican children their own version of the myth, is a truly disturbing movie. I say it does have its merits: the story of poor Lupita and her family is saddening. But don't worry, there's plenty of madness on display too, and the riffing is excellent. One of the best episodes. YouTube (1h33m) Premiered Christmas Eve, 1993. "With the aid of Merlin, Santa Claus must defeat the evil machinations of the devil Pitch to ruin Xmas." Directed by René Cardona. Written by him and Adolfo Torres Portillo. Starring José Elías Moreno as Santa Claus, Cesáreo Quezadas as Pedro and José Luis Aguirre as "El Diablo" (presumably, Pitch). "Bursting upon our BIG SCREEN in all the colors of the rainbow... a prize-winning blue ribbon treat for old and young alike! Here's something for the whole family to see together!" "SEE All the Weird and Wonderful Characters of Make-Believe! SEE the Fantastic Crystal Work-Room of the Happy Elves! SEE the Fabulous Realm of the Candy-Stick Palaces!" We're back! (Most) every week, we of the Fanfare MST3K Club watch that week's episode! You should join us! 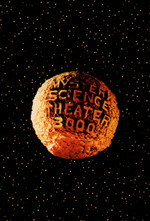 The showings are at 9 PM ET/6 PM PT, at https://cytu.be/r/Metafilter_MST3KClub. This week I'm actually hosting it from the vicinity of Atlanta, but it should work fine from here. Next week however we might have to call it off, as I may be preparing for a flight to San Francisco to present at roguelike.club. More on that as it approaches. So the con was groovy, then? My kids love this one. "No no, Lupita!" is a common exclamation in our house. No, because stealing is bad, and I want to be good. No, I want to be good, and to steal would not be good. No, it is bad to steal, and I do not want to be bad. You know what, please just take me off your call list, OK?